Use to support inner exploration of the potential available to us through awareness of the dimensions of existence that these chakra points provide access to. Will assist in the reception of guidance from the soul and higher self. 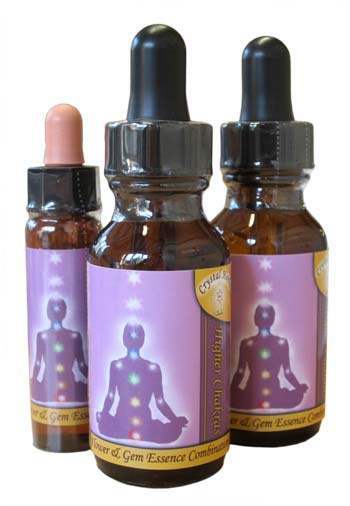 In addition to the chakras most closely connected to our physical existence we have five important chakras situated one above the other in the auric field above the Crown Chakra. When these chakras are opened, balanced and aligned with all the other open main chakras they act like ‘doorways’ into the different levels and dimensions of our multidimensional self as well as the universe itself. Flower, Gem & Crystal Essences Silver, Angelica, Green Jasper, Convulvulus, Lavender.